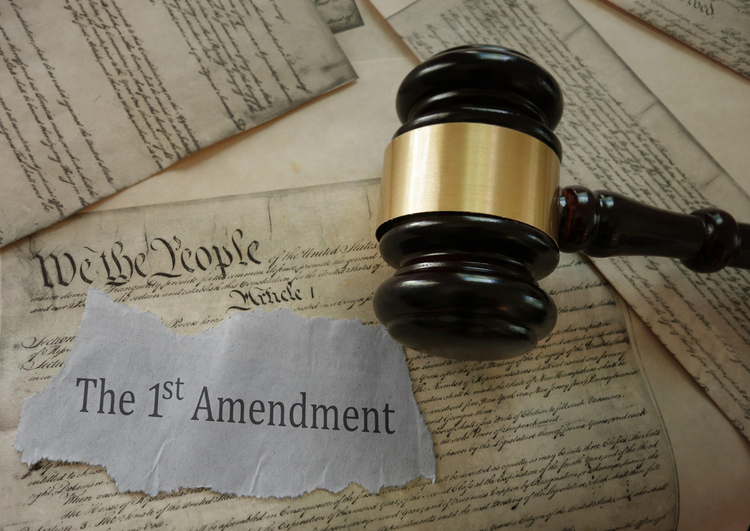 A Delaware constitutional requirement for political balance between Republicans and Democrats on top state courts violates a First Amendment right to political association, a federal appeals court ruled Tuesday. The 3rd U.S. Circuit Court of Appeals at Philadelphia unanimously ruled the restriction violated the right of Delaware lawyer James Adams to associate with the party of his choice. Delaware Law Weekly and the Associated Press have coverage of the decision. Adams currently describes himself as an independent in the mold of Sen. Bernie Sanders of Vermont. He thinks applying for a judgeship would be futile because he is neither Republican nor Democrat. Delaware’s governor selects judges from a list provided by a judicial nominating commission. A related provision allows only judges from the two major political parties to serve on the state supreme court, superior courts and chancery courts—the state’s three top courts. The major-party provision does not apply to family or common pleas courts. The 3rd Circuit found that Adams had standing to challenge the provisions relating to the three top courts but not the family or common pleas courts. As a result, the 3rd Circuit did not consider or strike down the political parity provision for the two lower courts. The court cited Supreme Court precedent limiting government employers’ ability to consider a worker’s political affiliation. The cases provide that policymakers may be exempted from restrictions on hiring and firing. Delaware’s governor had argued that judges were policymakers who were exempted from the bar on consideration of political allegiance. Judge Julio Fuentes wrote the opinion for the three-judge panel. Fuentes and a second panel judge both joined a concurrence by Judge Theodore McKee. “All of us have a keen understanding of, and appreciation for, the fact that the provisions we strike down today were enacted to ensure selection of a judiciary whose political balance would serve notice that judicial decisions were devoid of politics and political motivations,” McKee wrote. “Paradoxically, by elevating one’s political affiliation to a condition precedent to eligibility for appointment to the bench by the governor, Delaware has institutionalized the role of political affiliation rather than negated it.